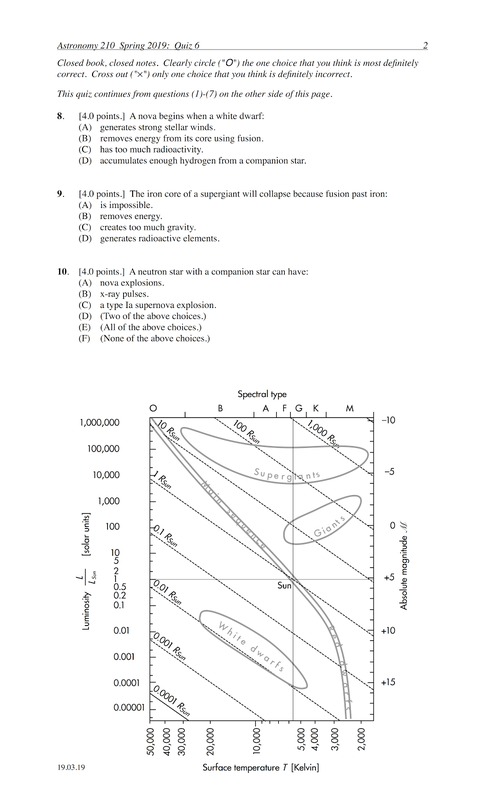 The following questions were asked on reading textbook chapters and previewing presentations on the Milky Way's shape, size and composition and spiral arm structure and formation. "I really liked learning about the Milky Way because when I was young and went to LA you couldn't see the Milky Way, but at home you could see it really nicely without the light pollution. Learning about dark matter was crazy as well because I didn't know a lot about it." "I really liked learning about the Milky Way. I live out in the country so on super clear night growing up as a kid I was able to see the Milky Way." "That the word 'galaxy' derives from the Greek word for milk, interesting fact." "The fog model. The idea that there are things we can't see because of things being in the way is fascinating." "How big the Milky Way is." "I thought the bad hair day camping was a funny and interesting analogy." "I guess I never really thought about how we would image our own galaxy, looking from the inside out. But the way that we do it is pretty interesting. It's confusing, but I'm sure the lecture will clear it up." "That we actually have a method to determine our galaxy to be a spiral galaxy and it's not just assumption." "I never thought about how hard it would be to figure out what size and shape our own galaxy is since we are inside of it and have no mirror for reference." "Learning about the Milky Way and its spiral arms was pretty interesting. I liked it because the Milky Way is always talked about, but never in this much depth." "That people were able to come up with ways to picture our own galaxy even though it's huge and we can barely get to other planets at this point." "That we can use the orbital motion of the sun to find the mass of the galaxy inside the sun's orbit. The fact we're able to infer this correlation blows my mind. It makes total sense, too. Plus, even if it's not exact, the fact that we can even get an estimate also demonstrates just how interconnected everything really is. We've been able to learn so much about space already, even with the extremely limited data we actually have." "Dark matter because the idea of unexplained and mysterious phenomena are always intriguing and exciting." "I thought that the idea of dark matter was super-weird and interesting. But it does make a lot of sense." "Dark matter is cool because is it scary and most of the universe is dark matter. Creepy." "How we detected the spiral arm 'lanes' of the Milky Way, because they don't just use a regular telescope." "The wildfire analogy for star births through type II supernova explosions was interesting. I find it helpful to have comparisons to more common everyday occurences that I have actual experience dealing with when trying to understand the abstract astronomy subjects." "The formation of the Milky Way is based on a lot of theory, and that some of the mathematical estimations could be as much as 10% off. It's interesting to know that there is still much knowledge to discover." "Why can we see the Milky Way but we are a part of it." "I'm still not totally sure about how we can use things like globular clusters to find the size and center of the galaxy, but after reading the textbook on the various ways we figured it out, that was cleared up more for me. I'm not really confused on anything else in this section." "The globular cluster part about the Milky Way was a bit confusing. The image that was provided didn't make much sense to me--I just think I need a better, in class explanation." "I want to know more about dark matter. What are your ideas of what it could possibly be made of?" "Dark matter, I've always heard of the references to what darkmatter is and how its a major part of our universe, but the MACHOs and WIMPs categories still confuse me on the subject still." "WIMPs--what is a weakly interacting massive particle? How can something be weakly interacting?" "Star formation in spiral arms." "The spiral arm/Pimpstar Rim optical illusion thing. I get it on a basic level, but I need more explanation." "The spiral arms, I didn't really understand the concept of them." "Self-sustaining star formation--why is it prominent in some galaxies and not all?" "I think I'd just like more in class discussion on all the presentation slides." "Just about everything I have read." In your experience, how much of the "Milky Way" (the band of faint stars across the celestial sphere) have you been able to see in the night sky? Using the most powerful light-gathering optical telescopes in the darkest skies, __________ of the stars in our entire galaxy can be observed from Earth. 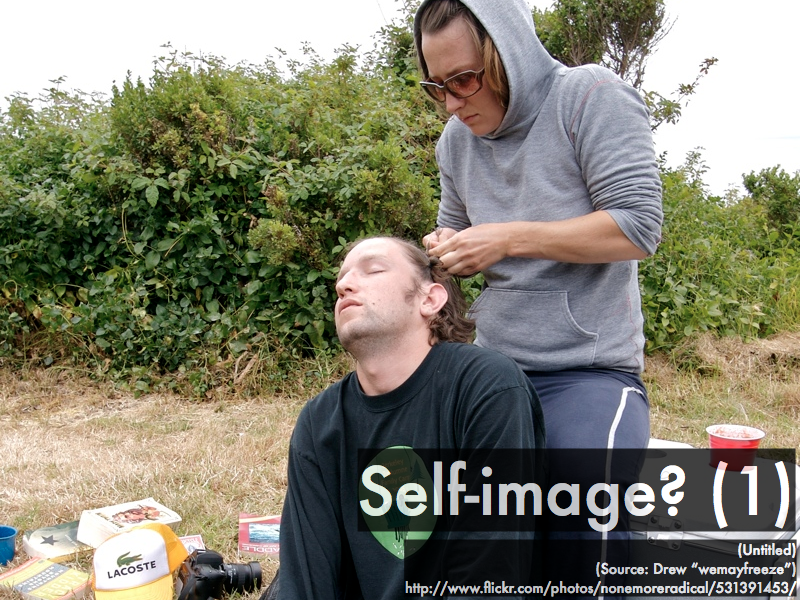 If you did not have access to a mirror while camping, what could you do to find out whether or not you're having a bad hair day? "Look in the reflection of a pond/river/lake." "Check in the reflection of the water? Honestly, I'd have a hat though." "If a car is nearby look in the window." "Ask your fellow campers or study their reactions to you when you climb out of your tent." "Ask a friend you trust who has a verifiable history of qualifying good and bad hair days in accordance with your hair day system of values." "I don't usually care about what I look like when I'm camping." "Probably just roll around in the dirt. Then I'll know for sure that I’m having a bad hair day, and there won't be any mystery anymore." "Make sure your camping partners look worse than you so no one can tell you're ugly." "I would use my hands to feel, if my hair is in place relative to my head." "I would just run my fingers through it, the more knots the more painful the hair looks." Look at PimpStar Rims (*.html) for cars, or MonkeyLectric Rims (*.html) for bikes. Briefly explain how they work. "Rapidly blinking lights are coordinated to create patterns when swept across our field of vision." "For Pimpstar Rims there is a microprocessor in each wheel and images are sent to each wheel through wirelessly. For MonkeyLectric, there are many different designs that are already picked out that were created by different artists." "Using LED lights set into the rims of cars or bikes the lights are able to make a picture as the wheel spins. The article said they use 'strobe modulation effect' kind of like a marquee where the lights light up and make it appear as if the words are moving in fluid motion instead of lights just lighting up." "Usually one 'spoke' made up of a handful of LEDs spin around fast enough to create what appears to be a solid disk. By changing the LEDs at a rate that correlates to the spinning speed, it can create a picture." "I think the reason that they work is because the light on the wheels when going really fast make it seem that there's a solid color, similar to when you turn on the fan and the blades when going fast look like a single big blade. How they create the cool patterns I'm not sure." "PimpStar Rims are rims on a car made to put a design/ make a visual illusion to people that drive by. The spiral arms of the Milky Way are a similar persistence of vision illusion--like the lights on Pimpstar rims, short-lived massive stars are born and die at certain intervals as they orbit around. MonkeyLectric Rims are the same but for bikes." "The wheels have freaking pictures!" "If you could elaborate on the shape of our galaxy in class, please?" "Why did you want us to look at the ugly rims?" "The LED lights for your bike are really cool and nicely personalized." "I must be a child because I laughed at 'Pimpstar.'" 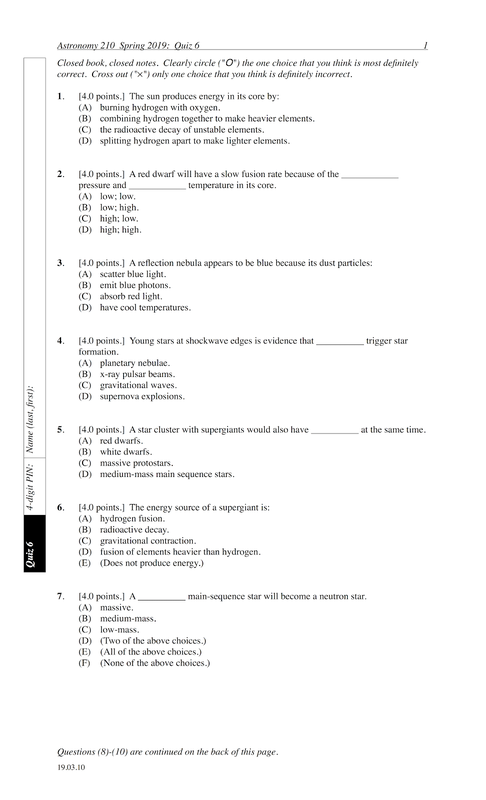 The following questions were asked on reading textbook chapters and previewing presentations on flux laws and devices. "Magnetic flux (ΦB) is the product of the magnetic field magnitude B and area A. Units of T·m2 or webers." "Magnetic flux is the product of the magnetic field magnitude and the area. Faraday's law states that an electromagnetic field (emf) occurs in a wire loop while the magnetic flux changes through the wire, while if the magnetic flux is constant, or unchanging, then there is no induced emf in the wire meaning that in order to produce an emf, then the magnetic flux must have changed. Lenz's law shows that the direction of current must oppose the magnetic flux." "Magnetic flux increases with more external magnetic field lines pass through the area of an object. Lenz's law explains that the magnetic field, created by the induced current, points in the opposite direction of the external magnetic field lines that cause a change in magnetic flux." "Magnetic flux is the product of magnetic field magnitude and area. Faraday's law says that an induced emf occurs when the magnetic flux going through a circuit area changes." "If flux is constant then there is no induced emf, and in order to induce an emf in a wire loop the magnetic flux must change." 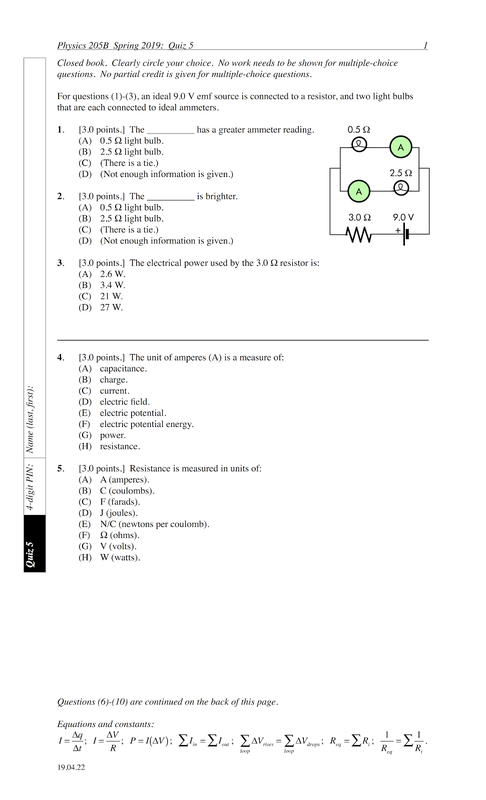 "This section covered Faraday's law and Lenz's law and their connections to magnetic flux. Magnetic flux deals with the magnetic field and the enclosed loop area it passes through. Faraday's law says that in order to induce an emf in a wire loop, the magnetic flux must be changed. Lenz's law says the induced current always opposes change." "Transformers increase or decrease voltage and current. They are changed by the magnetic fields surrounding them. The amount of coils in them have an effect." "Transformers are used to step-down or step-up voltage and current into another circuit by the property of induction. This is a very useful property in electric engineering and everyday appliances. Inducing current with reduced or increased voltage can be applied to several different appliances and components." "I'm barely getting the RHR1 and LHR1 so I'm doing my best to keep up with this new stuff." "I do not really understand transformers at all and could use clarification on magnetic flux and how to use Faraday's law." "Lenz's law and how RHR3 is applied to these cases or how the magnetic field will affect the magnetic flux. I don't really understand the brick example (of inertia) in your presentation." "The section on Lenz's law. I do not understand how the current and magnetic field work to oppose magnetic flux change. Seems to be a lot going on." "Transformers and the step-up/step-down concept. I don't really get why there are coils with different amount of turns and how these effect each other. I want to know how all this stuff works because it has real-life applications but its not clicking for me." "I was pretty confused by most of this section, but the part that really threw me for a loop (no pun intended) was the whole part about transformers. That really made no sense to me and I have no idea what the parts are doing." "The equations were confusing. The examples explained a lot, but might need more clarification in lecture tomorrow." "I didn't really get what each term means and how to use them." State/describe the symbol used for magnetic flux, and give its SI units. "Phi with a 'B' subscript, units are [Wb] or [T·m2]." "Symbol: ΦB. SI unit the weber (Wb), or in derived units: volt seconds)." "The symbol is like an O with a vertical line through it, with subscript B, and is measured in SI unit webers (Wb)." "It kind of looks like Mike Wazowski from Monsters Inc. It's in Teslas·meters2. So fancy." For each situation involving magnetic flux and a wire loop, determine whether or not there would be an induced current in the loop. For an ideal transformer that "steps-down" voltage from its primary coils at 120 V to its secondary coils at 2.1 V, determine what happens to the current and to the power from its primary coils to its secondary coils. For an ideal transformer that "steps-up" voltage from its primary coils at 1.5 V to its secondary coils at 220 V, determine what happens to the current and to the power from its primary coils to its secondary coils. 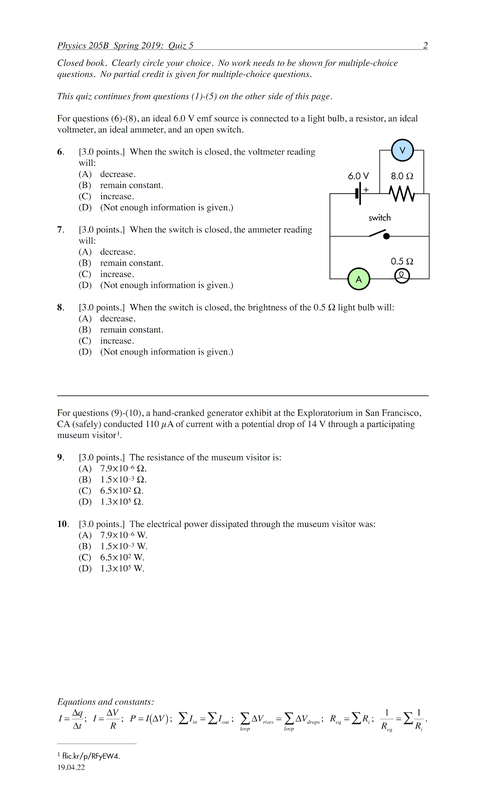 Explain why a transformer that has the same number of primary coils and number of secondary coils would not be useful. "Transformers are designed to transform voltages, if the primary and secondary coils have the same number of turns, it's not doing its one job because the voltages won't be different." "The difference of them is related to the ratio of secondary coil to primary coil. If you have the same amount of turns in the coils you won't transform anything, but instead lose energy in the process of heat." "The primary and secondary coil with the same number of coils is not useful. because transformer with different number of coils allow voltages to be stepped-down or stepped-up, and same number can not." "I would love to be able to tell you that... But I can't. Give me some time listening in class and it will probably make sense to me, but until then, I got nothing." "Not going to lie, this section is dense." "Not the best section for me. I am pretty confused with the multiple coils and their effect on each other. A real life example would help a lot." "I'm not quite understanding the second part of this section involving the transformers." "I thought it was interesting that the Greeks named the Milky Way because they believed the Milky Way was a milky river that flowed through the night sky." "The 3D map of our Milky Way galaxy was interesting because it gave a direct sense of scope that feels more real than looking at artist depictions or being told how large it is." "I think it was interesting learning about the Milky Way galaxy. There are many unique parts about it and all the visuals are very eye-catching." "I found the fog model particularly interesting because of the fact that we can only see a portion of the Milky Way galaxy because of the interstellar medium. This is interesting to me because anything bigger than that is hard to even fathom." "Our Milky Way galaxy has a disk shape. I never looked at it in that way and I'm curious as to why that is." "The facts that gravity is smeared/spread out was such an interesting idea to me." "The cause of density waves because I was never aware that in order to sustain its spirals, other smaller galaxies would be consumed in the process." "That the spiral arms of a galaxy are optical illusions. Instead they are created through the movement and formation of new stars." "I need some clarification regarding the percentage of stars that can be observed from Earth." "I was confused about the globular clusters and their purpose?" "How can we see our Milky Way galaxy, because the view is 'foggy?'" "Dark matter. I mean it makes sense, but it's just kind of confusing to me." "I am still unsure as to what dark matter is, or what it could possibly be. I have the feeling that it is particles that are either too small or too dim to reflect light or be visibly seen but still create a gravitational force?" "The way the Milky Way galaxy is mapped confused me a little. I need a little more clarification since I don't fully understand it." "How the spiral arms are moving and at what rate. This is confusing because I understand that density waves move the particles but is this happening over a long period of time or is it happening super fast?" "The persistence of vision was a hard subject to understand." "Nothing in particular was confusing. everything was straightforward." "Nothing is too confusing--it's a little complicated but it's not confusing." "You could use the reflection in an area of water, presuming there is any nearby." "If you're camping near water, you can always look at your reflection in it. Another possibility would be to just use your phone." "Use a window or mirror of a car if you drove to the campsite. If you have sunglasses or a watch on, those would work as well." "Look in a reflection in a tin cup or a spoon." "In my opinion it doesn't matter about your hair if you're camping you're suppose to enjoy the nature/wilderness. If you're worried about your hair then don't go camping." "Honestly who cares? Just throw your hair up in a bun or something and you are good to go." "I don't particularly care what my hair looks like (that's what hair-ties are for)." "Well I have curly hair that never changes, so it's always perfect :)"
"Never had a bad hair day :)"
"Well if I'm camping I think it's pretty safe to assume that I am having a bad hair day. But if I really wanted to lower my self-esteem, I would just ask someone." "Ask the person you are with because you shouldn't go camping alone." "You could touch your hair." "Just play with my hair and just feel how messy it is." "I just usually do a 'surface check' and see if there are any big puffs of hair protruding from my head." "Just realize ask yourself if you have P-dog's mustache and if not, then your answer is YES I'm having a very bad hair day." "The wheel knows its rotational velocity and adjusts its pixels to maintain a stationary image on a rotating plane." "The blinking lights can be timed to the speed of the wheel, giving it the ability to light up at the exactly right time, to produce a pattern on a wheel." "They work by using a strobe modulation technique by having built in microprocessor, wireless adapter, and LED lights." "They put out the lights or words and because of how fast it is moving, it looks constant." "They leverage an illusion called persistence of vision. This illusion tricks you into believing these moving lights are painting an image." "I'm not sure? Something about a flashing light and how to reacts with speed?" "I went on a backpacking trip in the Sierras for a month, where there were no lights from any cities. I was able to see the Milky Way for the first time, and it was so beautiful because all the stars shined so bright. It was amazing, and I'll never forget it." 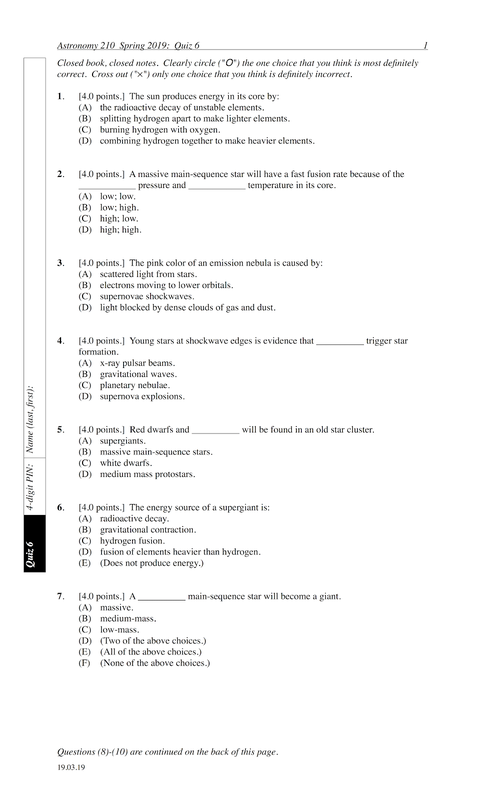 The following questions were asked on reading textbook chapters and previewing presentations on generators. "A moving charge feels force from a magnetic field, the direction of which can be determined using the RHR1 or the LHR1 depending on the sign of the charge. A stationary charge does not feel the force from a magnetic field." "How motion can be converted into electrical current. I know that single-pass generators have to be reset, but continuous generators do not." "Single-pass generators can only be used once before being reset, while continuous can continuously provide electricity without a need for being reset. Motional emf requires a rod in motion to generate emf." "Single-pass generators are those which can be used once and then have to be reset. In order to reset these systems you have to bring them back in the opposite direction which will create a motional emf and current but with opposite polarity." "When a rod moves through a magnetic field the electrons within the rod experience a force and the rod becomes positively charged on one end and negatively charged on the other, and that is how it becomes a battery." "I seem to have a pretty decent understanding of how a generator works." "Where do I start, I'm really having a hard time trying to figure out how to use the hand symbols such as 'Hidden Dragon, Crouching Tiger.' I don't really understand how do you use the field model." "How to orient my hand to not snap my wrist." "Motional emf and electric energy. I do not understand how to use the right-hand rule to find the direction of force." "I don't know what 'motional emf' means. And I don't understand the right-hand rules either." "Pretty confused on how to use the right-hand rule to find the direction of the force from a single-use generator." "Overall, this whole chapter is really confusing. It's taking me a long time to get the hang of it." "I was confused by the rail and hoop-drag generators." "I don't understand the differences or main parts of the examples of single-use generators. It felt like I was reading gibberish." "I think I would just need some explanation and demonstration of the different generators to get a better grasp on what they actually do and how they work. Other than that, I felt like this wasn't too hard to wrap my head around." "I am not quite sure how changing the area of a coil can induce an emf." Explain what a generator is supposed to "generate." "A generator coverts mechanical energy (usually rotational) into electricity (emf)." "Generators generate a motional electromotive force and current." Explain the meaning of "motional" in the term "motional emf." "Well, the moving bar is a source of an electromotive force, called motional emf. An emf is generated by the motion of the bar. " "When a rod is moved through a magnetic field in order to gain a charge. The motion and magnetic field causes the rod to have electrons (and the fictitious positive charges) moved to one side which essentially creates a battery." "The moving bar is the motional part that generates emf." "The bar has to stay in motion!" "I don't understand what this means." "When using RHR1, does the force (represented by the middle finger) point out the way your finger tip is pointing. Or does the force point in towards your palm?" (For positive charges, the force on it points the way your middle finger tip points, out away from your palm.)" "I could use more help on the right-hand rules." "Generators are interesting because they turn mechanical energy into electricity." "Seeing the man on the bicycle-driven generator took me back to my childhood days when I was watching Pokémon. I remember an episode where a man was generating power by using a stationary bicycle. On another note, I need to do more research to understand this topic." (E) fresh and saltwater fossils. (C) the International Space Station. (E) combining light from several telescopes. A planet fragment may be composed of __________, based on surviving its orbit around white dwarf SDSS J122859.93+104032.9. "I think that everything in this presentation is interesting. Especially the pictures and GIF animations provided of what the life stages look like. It's not something a student outside of the astronomy class would see and understand." "Comparing low-mass and medium-mass stars to a SmartCar and a Hummer. It made the analogy easier to remember." 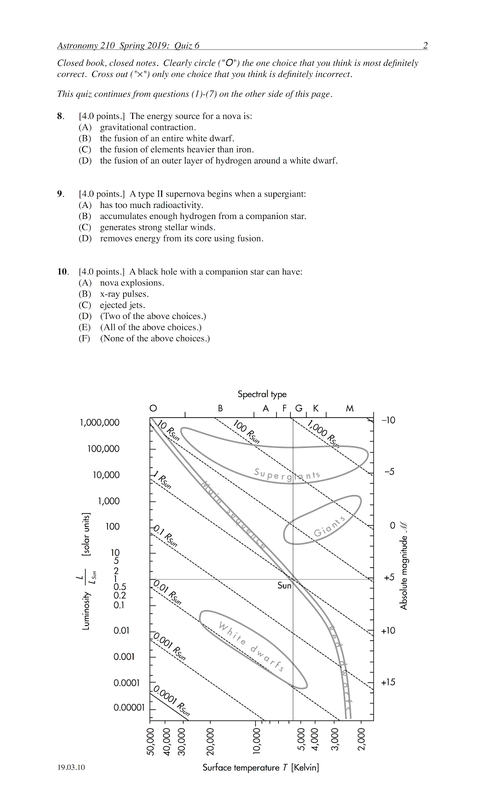 "I found the H2 versus Smartcar example a great way to put this section into perspective. Not having great mileage but having the capacity to compensate for it." "That a lower mass star can survive substantially longer than a larger mass star." "I like the refrigerator analogy and 'star-vation.' It helped me understand the stages in which order a star will use certain fuels." "I liked your refrigerator analogy about stars having to eat helium after all the hydrogen is gone because a star's got to eat, right?!" "Stars from about the size of the sun could turn into giant stars and massive stars could potentially become supergiants. Red dwarfs are fully convective meaning that their life expectancies are extended." "How if you open mouth breathe on your hand it will be warm, but if you purse your lips it will be cool. I found that it made the information easier to understand." "That a medium-mass star becomes a giant." "How different mass stars die differently." "I found it interesting that the more massive the star the longer it keeps fusing. So after hydrogen it fuses helium into carbon, and if its massive it keeps going. I didn't know stars fused beyond hydrogen." "That the energy generated in the core of a star is what opposes gravity and supports the star." "I thought the information about how stars die was interesting because I didn't know the many ways they could go." "That an entire star's life revolves around this single force that is gravity. The star is using gravity to create more energy for itself from its core to continue living, and at the very end, it has a life or death battle with gravity where it can either lose and become consumed in darkness, (black hole) or continue in peace in ultimate stability (neutron star)." "I found it interesting that there are different types of supernovas: type Ia and type II." "Massive star death. Probably one of the coolest things about the universe. Who doesn't like explosions?" "Black holes and the effect it has on spacetime and what is around it. The fact that you can't see it but you can feel it is crazy." "Black holes are very interesting because we do not know what they do and they are scary." "Black holes, because what is even their purpose?" "To see how there is a 'black hole' in Lake Berryessa. I don't know how to swim and just looking at the image makes me scared." "I didn't understand the Hummer H2 and SmartCar question." "There wasn't anything that was too confusing. At first I was a little lost with the car example." "The medium-mass star stages. I'm a bit fuzzy on how a star that is losing its fuel source is increasing in size. Normally in most situations its the other way around. So I am curious to see how this works." "The different types of (super)novae." "Black holes, because they seem so complicated, how could we ever really comprehend what they actually are and do." "How black holes work and what happens when something gets sucked into it." "The event horizon of a black hole. I am unsure what the event horizon is even after reading the definition in the textbook I am still confused." "Black holes were confusing. Everything about that section just went over my head." "I can't really wrap my head around a black hole's time dilation. How do we know this exists?" "I have a lot of questions. I'm sure as I listen to you explain it that will help though. I learn by listening." "A little bit of everything was confusing. I got the main parts but some of it was slightly confusing." "I did not find anything particularly confusing." "Because the Hummer H2 has such low gas mileage it requires a bigger gas tank to get farther. The SmartCar has better gas mileage so it can get away with a smaller tank. One variable is increased while the other is decreased making the total distance even." 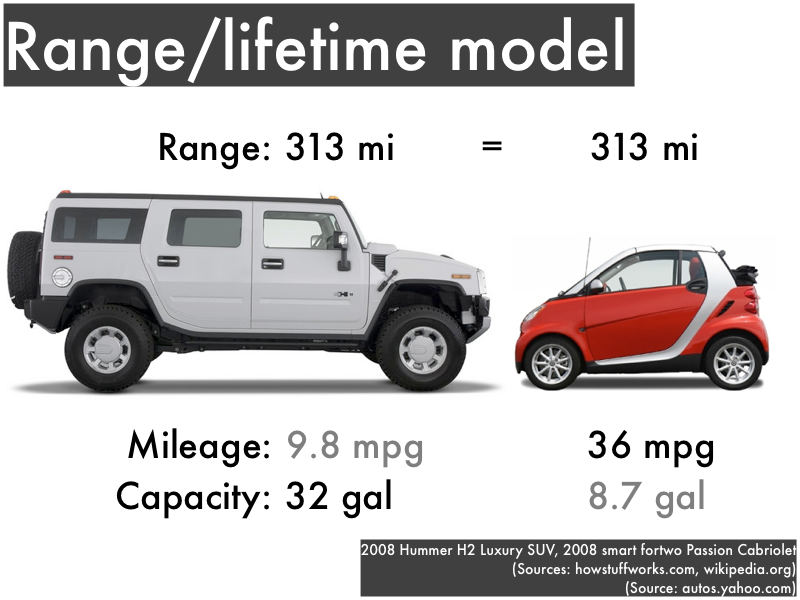 "The Hummer and the SmartCar have the same range but two different variables. The Hummer has a lower mpg and a larger gas tank. The SmartCar on the other hand has a high mpg with a small gas tank. Because the SmartCar has a higher mpg, it allows it to use fuel more efficiently. While the Hummer is not fuel efficient, it has to compensate by having a large fuel tank. But ultimately, both vehicles have the same range." "They can travel the same distance because whilst the H2 having bad gas mileage, it makes up for it by having a large fuel tank to compensate." "The Hummer has more gas in the car but it burns through it faster where the SmartCar can hold less gas but uses it more efficiently." "I really don't understand this question." "Read the textbook materials and show up to class?" "You cannot see black holes by themselves?" "To have fun while learning?" "To know the difference between astronomy and astrology?" "Pay attention and do your reading because it's difficult?" "There is no astronomy class?" "Tell all your friends about astronomy class?" "I shared with my sister the house party model. She laughed!" "I found the reading to be very confusing this week! The presentation slides somewhat helped." "I am confused at the death of stars and their end-of-life stages. Would it be possible to go over those in class?" "I would like to learn more about how gold is formed from a supernovae." "What would be a dumbed-down version of explaining a black hole?" "Could we go over the black holes section in more detail?"